Bras Basah MRT (CC2) is a MRT Station located at City Hall. A station with longest escalator and deepest station in the Mass Rapid Transit system. Bras Basah MRT station raise the quality of commute for the public connecting recreational destination, workplace and home more quickly. 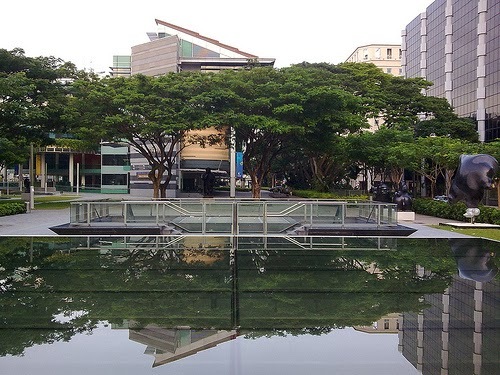 Bras Basah MRT is within close distance to numerous educational institutions like Farrer Park Primary School, The Boys' Brigade, Marketing Institute of Singapore, Bendemeer Secondary School, Dunman High School and more. Nearby Shopping Centres and Restaurants in Bras Basah MRT include Bras Basah Complex, Raffles City Shopping Centre, Bugis Junction and Lluma at Bugis. This station is well-connected via Bras Basah Road.